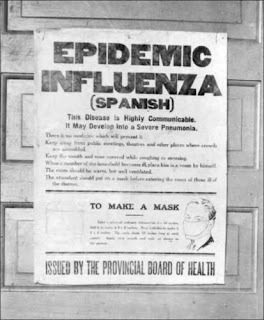 Today in 1918 the Alberta government stated that it is prohibiting all public meetings of seven people or more due to the outbreak of Spanish Flu. Schools, churches and theaters were all closed to stop the spread. 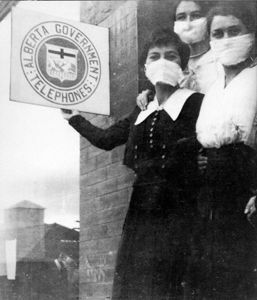 Albertans were also required to wear face masks in public. 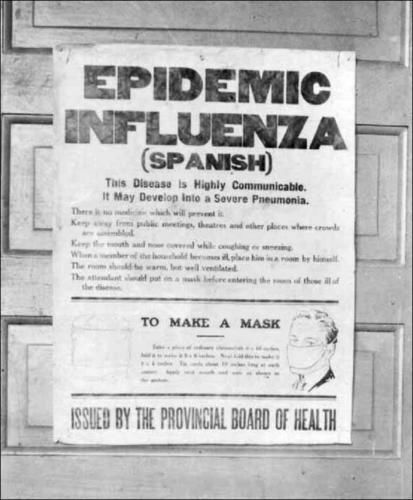 Although it was called the Spanish Flu, it's origins came from a U.S. army base in Kansas and between 1918-19 one third of the worlds population was infected. Over 4,300 Albertans and 50,000 people from across Canada died from the disease.